Cute Kawaii Girl + ATV = WIN! I had found this video a little bit ago, but thought I’d share with you all this bit of cuteness haha. 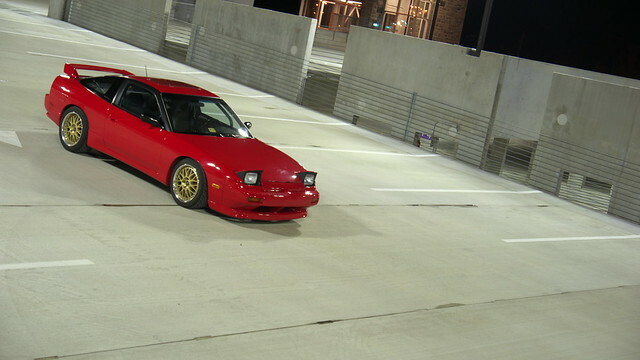 I’m AAV240sx aka Derrick. I like nice drives on the mountain touge under the moon light and… er… haha. As you may have noticed, there’s a bunch of new random posts and chaos scattered throughout Domofactor now, and that’s the result of the joining of my simple blog about whatever randomness I find with Terrell’s jdm goodies blog. Or as he put it, “We used wonder twin powers to fuse our blogs together”. Anyways expect some random stuff from me haha. Washed my car today after neglecting to do so over a year, feels good to be breaking necks as I drive down the road again LOL. Also got a new camera in the mail, should be sweet! In the mean time, here’s a video from one of my summer classes… making a bunch of aluminum pulleys for one of my engineering classes. Other than that… this summer is boring. PS: Just noticed that if you play the video in the post before this and then play the go kart video really quick, they sync up kind of nicely haha.